See scan - perfect condition. 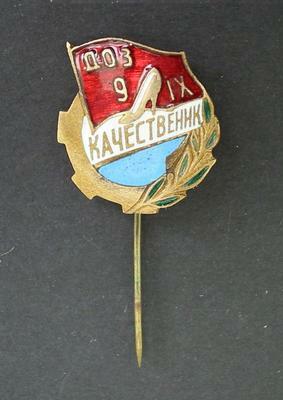 This is a scarce early Communist / Socialist Bulgarian Merit badge as awarded to workers from the State Shoe Factory "9th of September". The badge was awarded for perfect quality of work and production. Great enamel work. 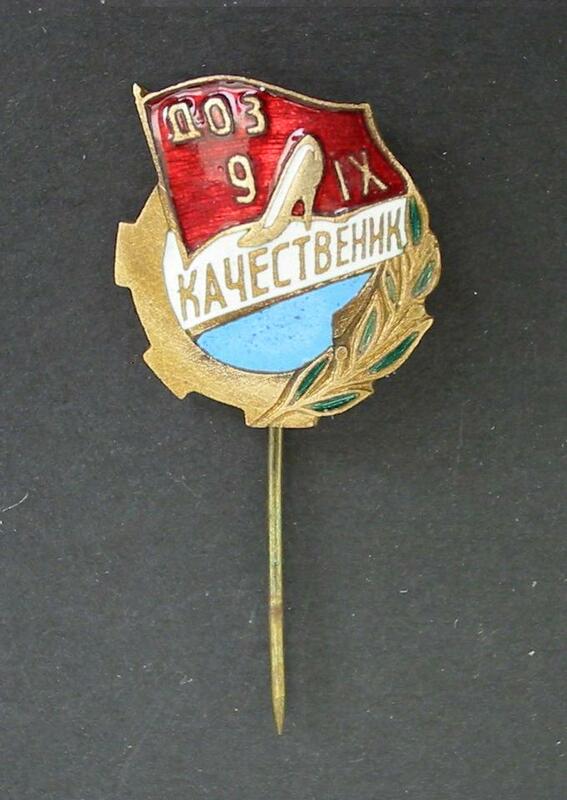 Nice communist propaganda collector piece and one of the rare Bulgarian badges and pins.